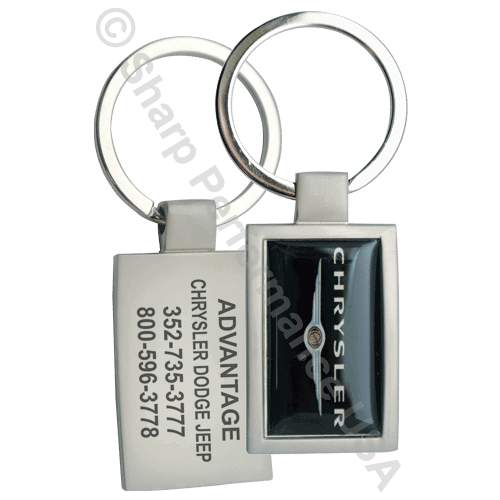 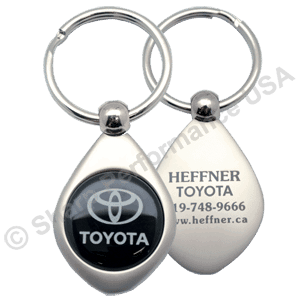 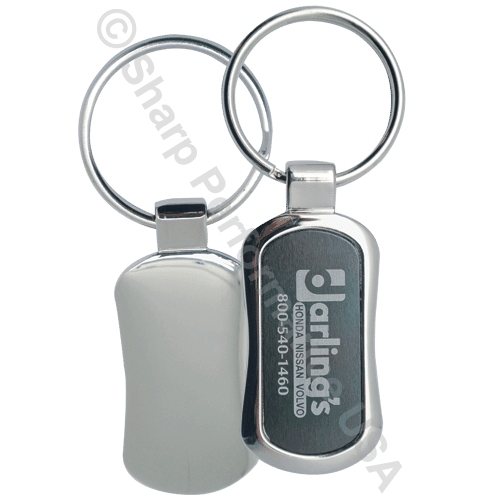 These Keychain and key-tag models are made of premium zinc alloy and offer large imprint areas on both sides. 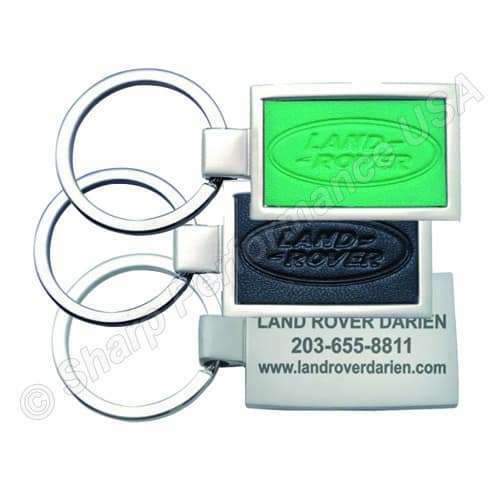 They also offer a large recessed area on the frontside that can either have a full color gel domed insert, or a metal insert that can be engraved. 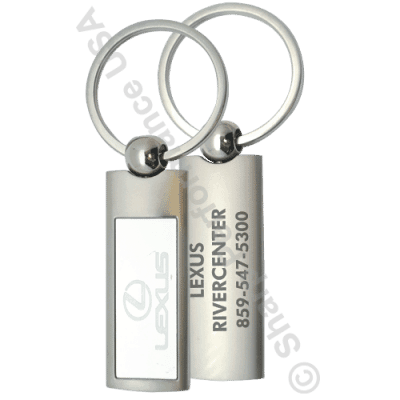 Metal inserts can be black powder coated, or black plated then engraved to show the base logo or text in the base metal which really make your logo pop. 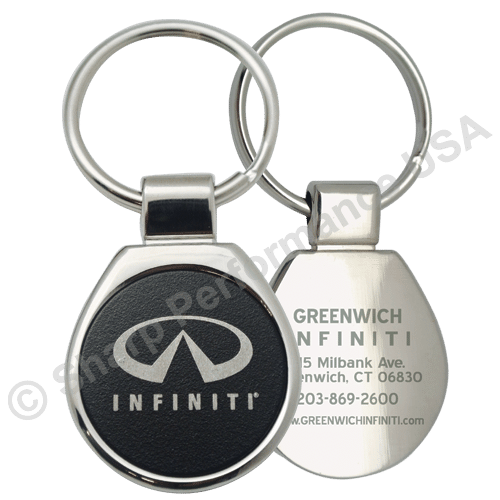 The inserts can plated in multiple finishes. 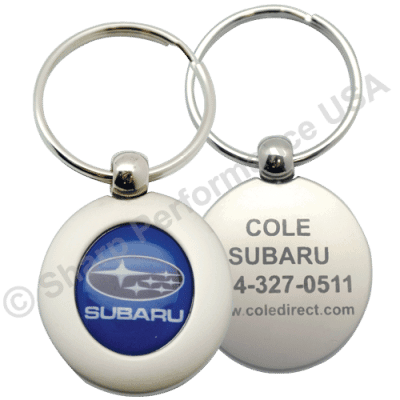 All of our custom logo keychains are customized with your company information. 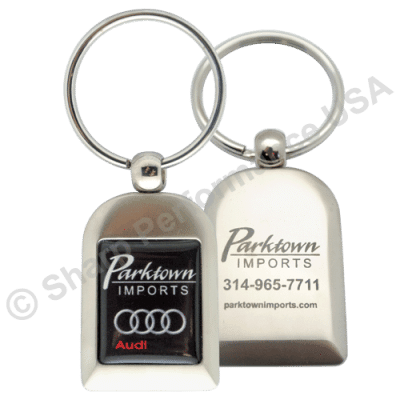 These high quality metal Key Tags and keychains are the perfect sleek, simple yet elegant promotional gift that your customer will actually use! 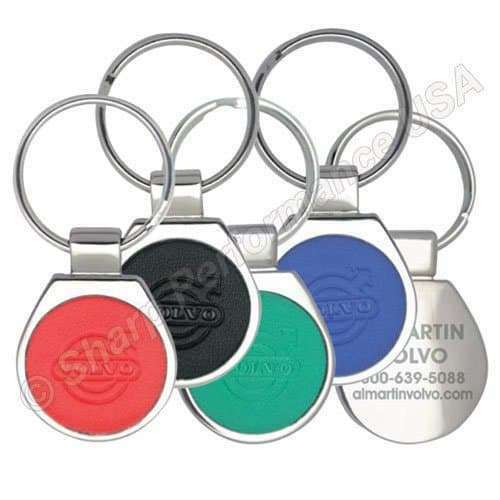 These unique keychains are able to beautifully showcase a full color domed logo on the front, this is the best keychain for highly detailed logos and pictures. 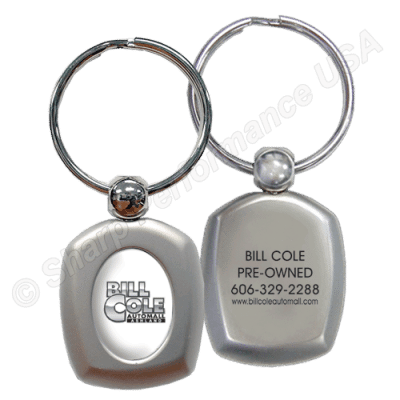 Many of these items are part of our quick ship program, and are stocked in our factories semi-finished for quick turn around.